Microsoft’s latest operating system, Windows 8, provides a plethora of new features and a complete overhaul of the previous user interface. A lot of people wish to try Windows 8 but don’t want to go through the hassle of creating a new partitions or overwriting your current Windows OS with a clean install. We have already seen How to install Windows 8 in a Parallels Virtual Machine on Mac. Similarly, you can run Windows 8 in your current Windows OS by using VirtualBox. 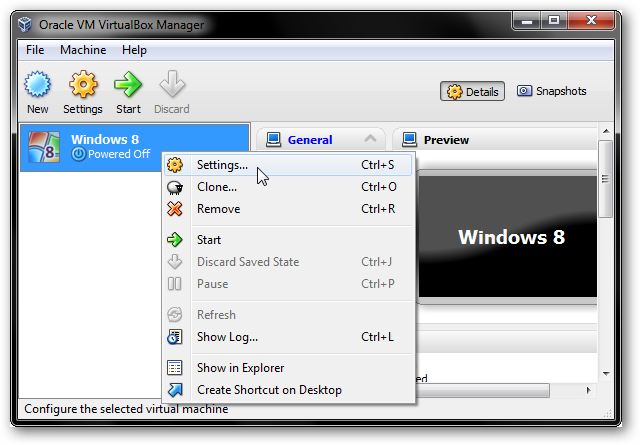 VirtualBox is virtualization software that allows you to run other operating systems such as Windows, Linux, FreeBSD, OpenSolaris or even Android Mobile OS on your computer. Before you begin, you need to download VirtualBox. The download page provides different versions or “hosts” to download. The “host” is the operating system you are currently using. For example, if you plan on running Windows 8 on your Windows 7 OS, the host is Windows 7. 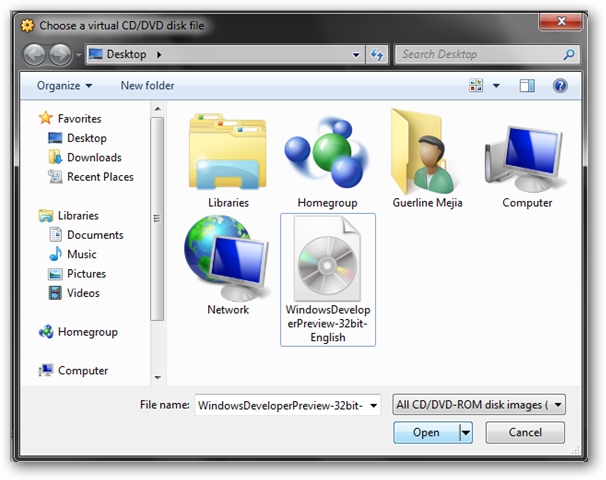 You will also need the Windows 8 CD image (ISO) file. You can download Windows 8 from the Windows developer center. Download the version that meets your system requirements. If you’re using a PC with a 32-bit processor (x86) you can get the 32-bit version. Those of you who have a 64-bit system (x64), the 64-bit version is also available. Let’s see what files do you need to get started. 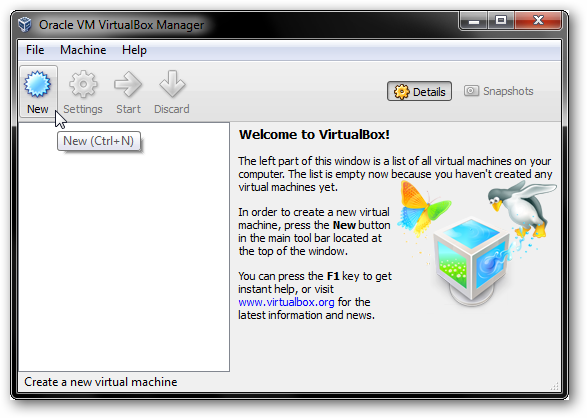 Once you have VirtualBox installed on your computer, you are ready to create a new virtual machine. Run VirtualBox and click “New” from the top of the window. This will run the installation Wizard. Name your virtual Machine. You can give it any name you want. Under “OS Type,” select “Microsoft Windows” as the operating system and “Windows 8” as the version. If you do not see Windows 8 as an option, select Windows 7 – that would work fine. 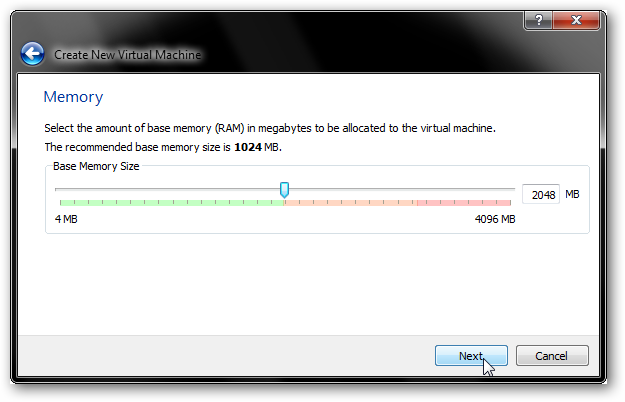 Select the amount of memory you want to dedicate to your Windows 8 virtual machine. If you are using the 64-bit version, it is recommended to dedicate at least 2 gigabytes of memory. 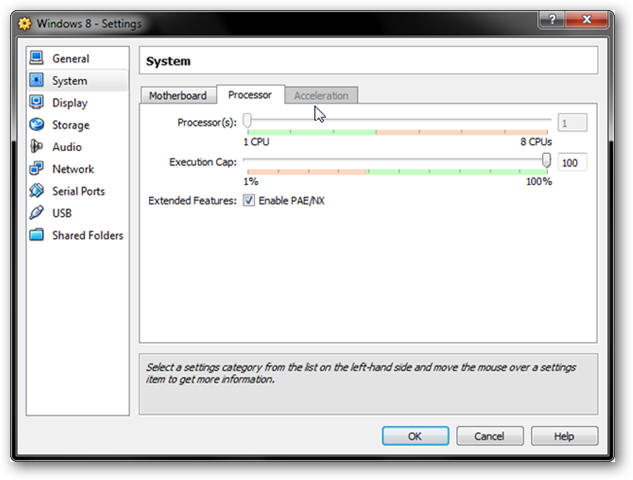 Move the slider to the left to decrease the amount of dedicated memory and to the right to increase it. In the next window, you would see 4 options. 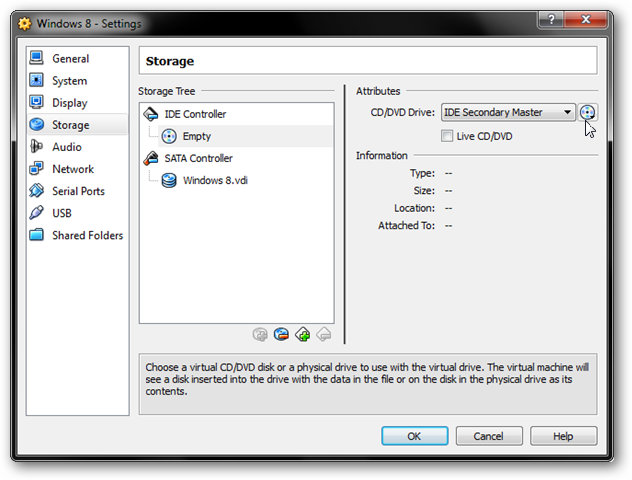 Leave it at default “VDI” which stands for Virtual Disk Image. 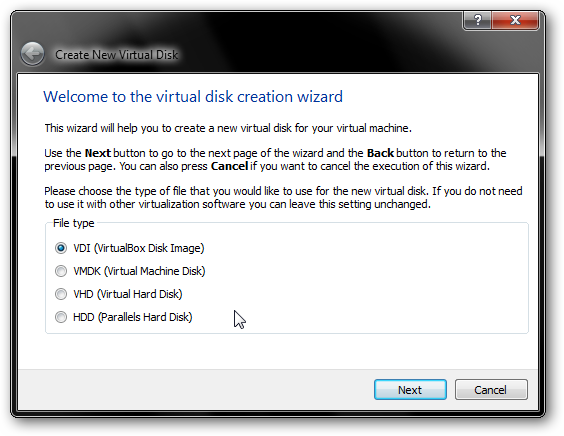 Create a new a fixed size virtual disk image. A fixed size takes longer to create, but it is faster to use. It is recommended for the virtual disk image to be at least 20 gigabytes. This is because the whole 8 Windows OS requires over 10 gigabytes of space. It should take about 5 minutes to create a virtual disk image. 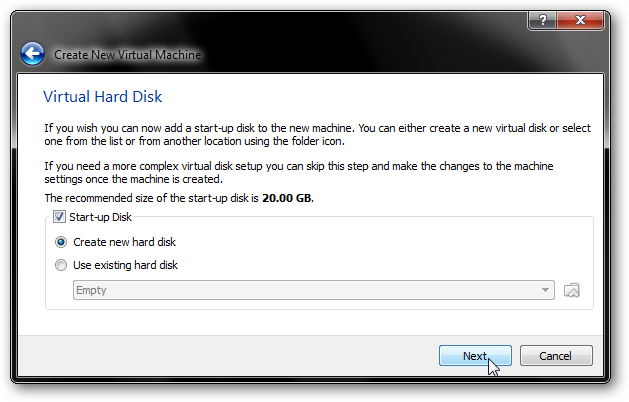 The more space you dedicate to the virtual machine, the more time it will take to create the virtual disk image. 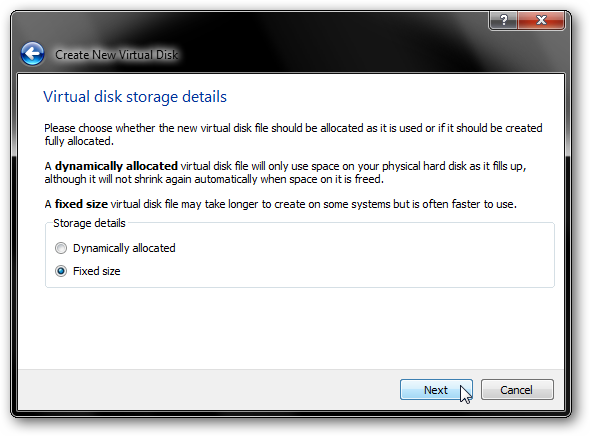 Move the slider to the left to decrease the dedicated space for the virtual disk, and to the right to increase it. Once you click on “Next” Virtual Box will process the options you selected and take you to the main screen. 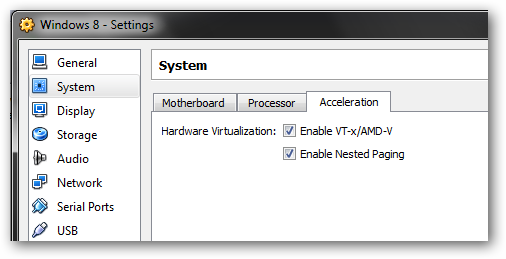 Click the “Acceleration” tab and select “Enable-VT-x/AMD-v” and “Enable Nested Paging.” If your processor does not support virtualization, you will likely not be able to access the “Acceleration” tab (as shown above). It is important to make sure that your processor supports virtualization. 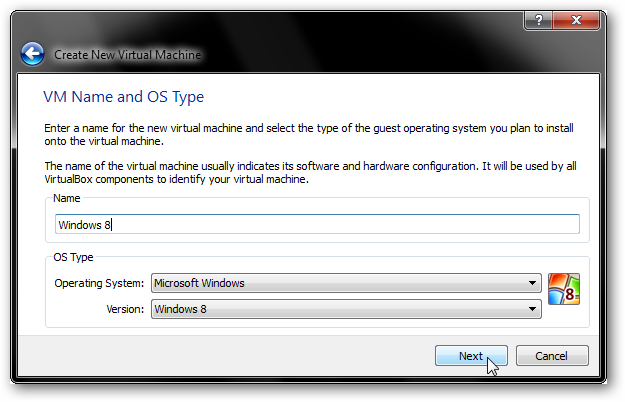 Your Windows 8 virtual machine will not work without these settings. Now select the Windows 8 ISO file you downloaded and click “Open.” After completing these procedures, your Windows Machine should be ready to run. This is where you would see the Windows 8 Installation screen come up. 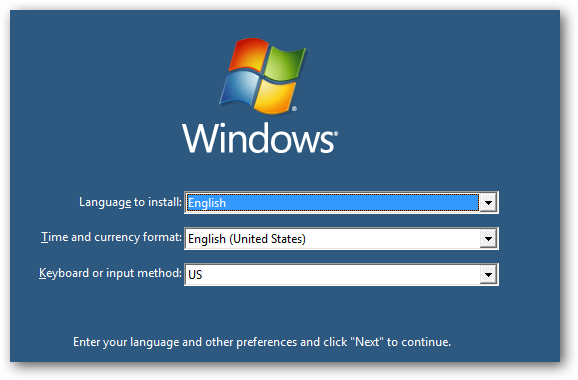 Select the options that apply to your region and follow the on-screen instructions to complete the Windows 8 install on your Virtual System. 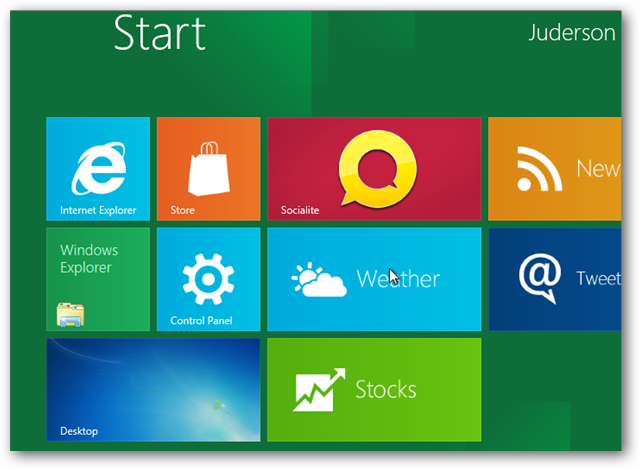 After completion of the installation, you would see the new Metro interface of Windows 8. Go ahead, take it for a ride and see what new features Windows 8 has brought onto the table. 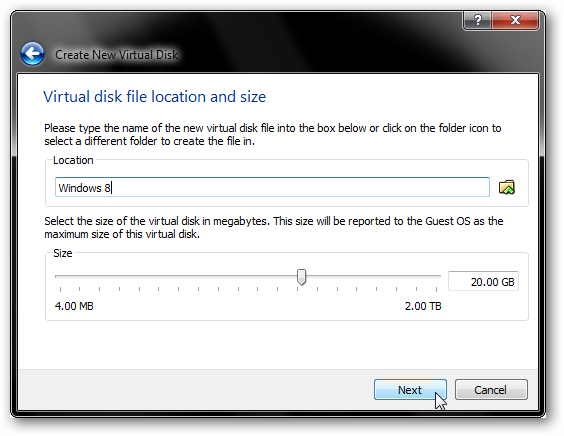 VirtualBox is a simple way of testing out Windows 8 without performing a clean install. However, you need to remember that your computer must have a virtualization-enabled processor. If it doesn’t, Windows 8 will not work. 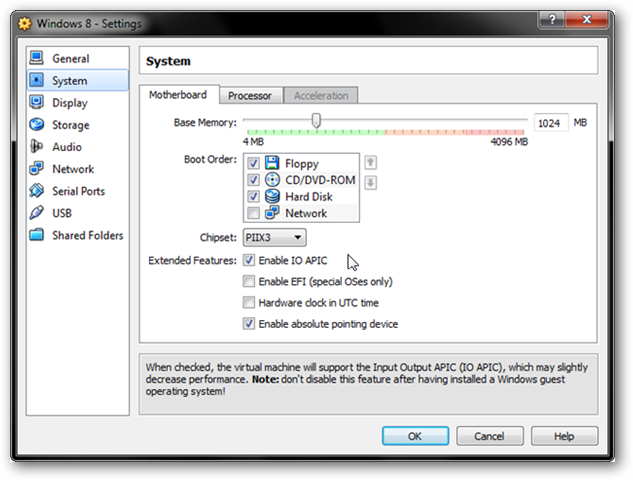 Having a processor that doesn’t support virtualization does not mean you can’t use VirtualBox. Other Operating Systems do work without the need of a Virtualization enabled processor. In many cases, you can still use VirtualBox to test live CD images to install the OSes. In the case of Windows 8 though, your processor needs to support virtualization.